Published June 27, 2015 at 408 × 500 in Ann Arbor Airport. The Ann Arbor Observer November, 2011. 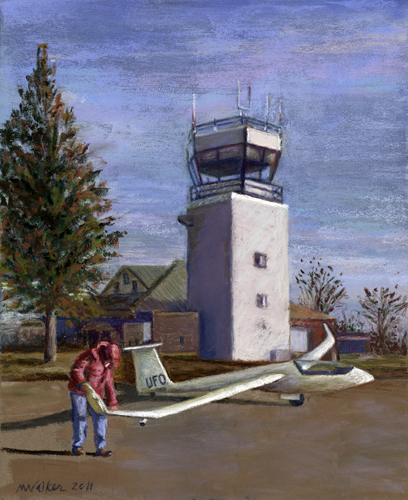 13″ x 10″ pastel painting of a glider plane at the Ann Arbor Airport.